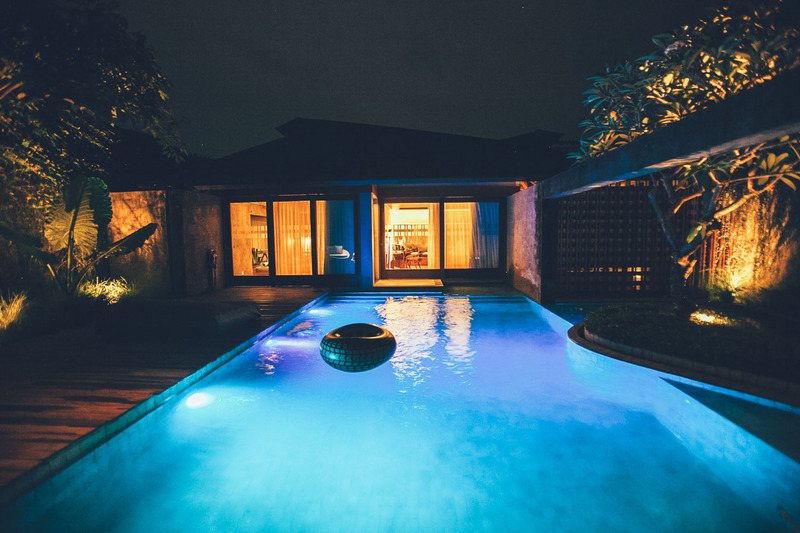 We stayed in a private two bedroomVilla complete with it’s own swimming pool and garden. Air-conditioning, a big bed, dining table, beanbags & everything else you need for a relaxed stay were provided. 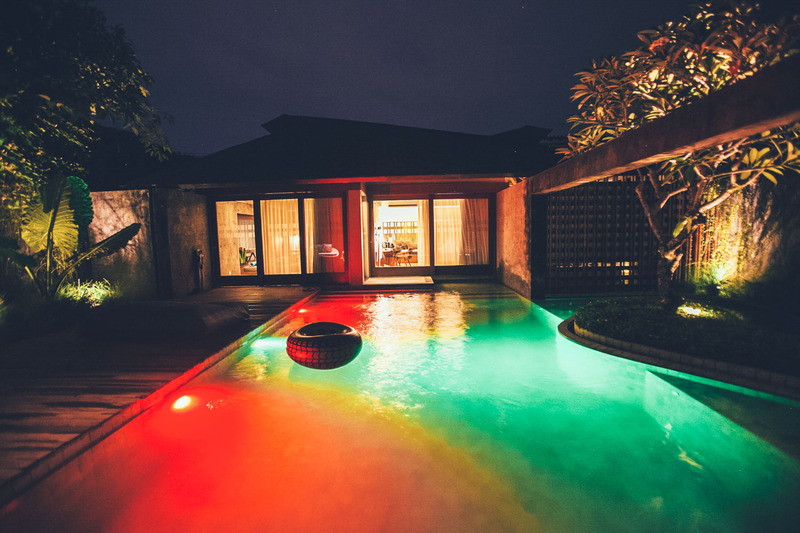 – Each Santai Villa comes with an impressive private pool that by night becomes an incredible light show. There are coloured LED underwater lightbulbs, which constantly change colour. Let’s be honest who isn’t impressed by a disco pool. 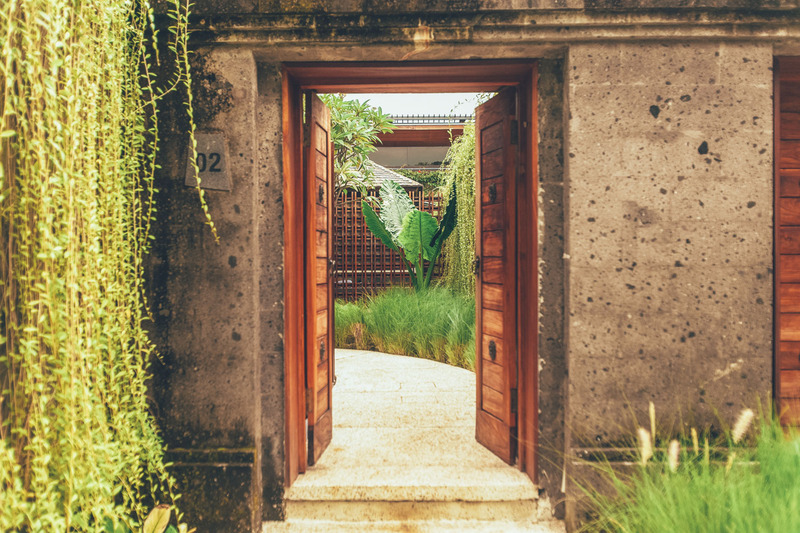 – The design of the Villa allows you to feel completely secluded, while still remaining within a ‘hotel’ that has everything you need. 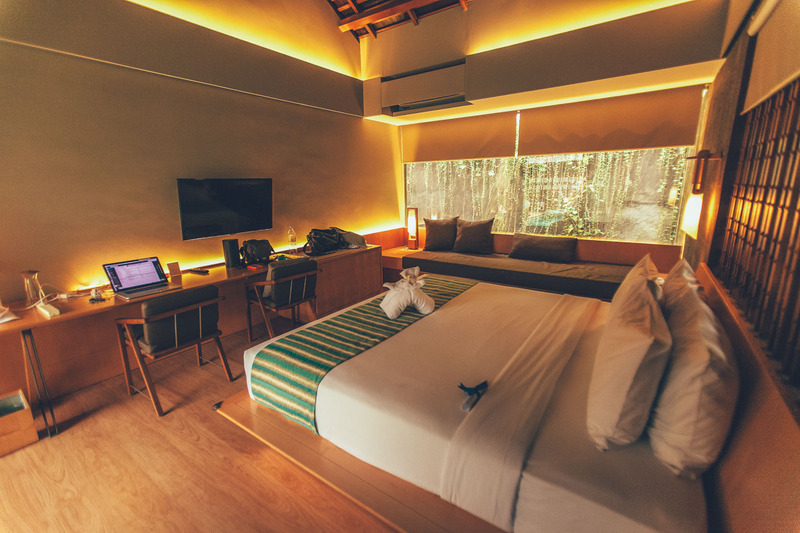 This makes the Santai a perfect option for those wanting a private Villa experience, but still wanting to take advantage of the facilities and service a hotel can give. 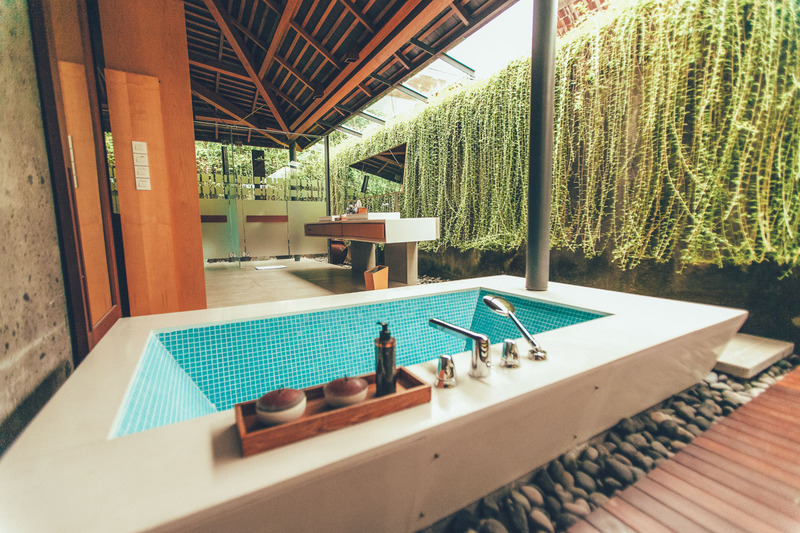 – Bali is known for it’s outdoor bathrooms and the Santai does not disappoint, with each room joining onto a huge outdoor bathroom complete with a bath big enough for two (yes we tested that) and large sinks and shower heads. 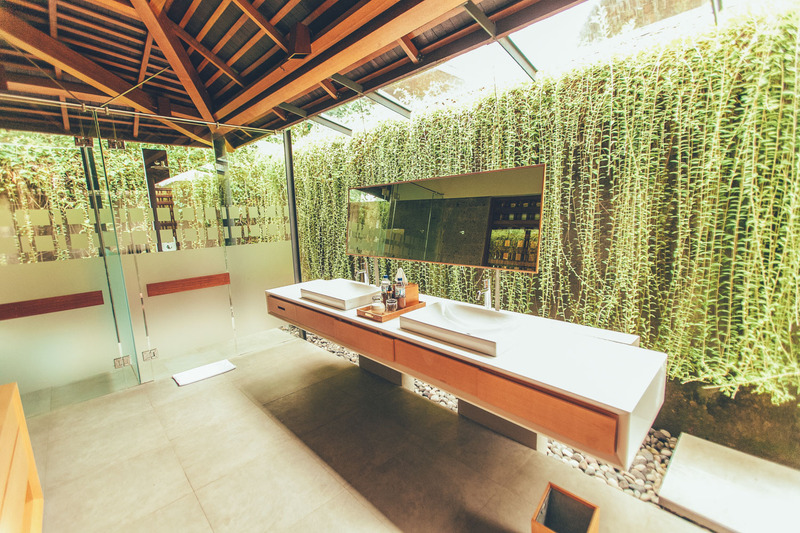 Being open air & outdoor makes the bathrooms feel more like an additional living space. Taking a long bath and zoning out is a must here! 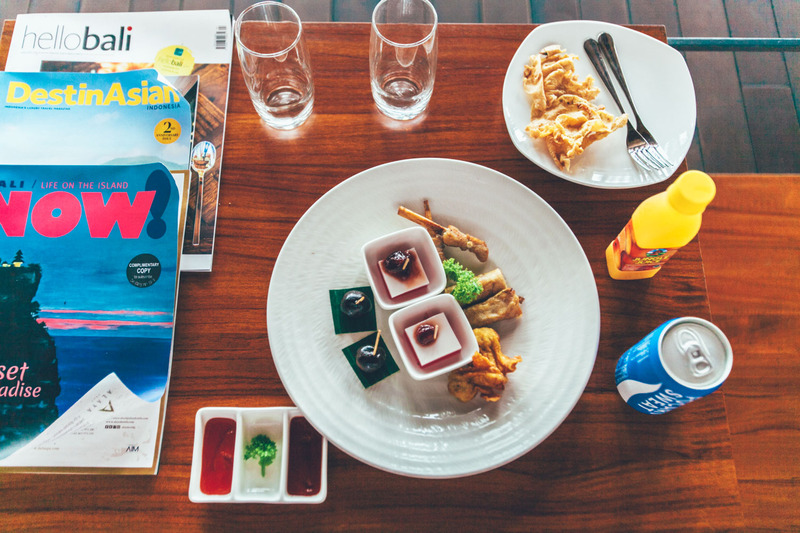 Staying at the Santai includes breakfast which can be ordered to your room or had at the Santai’s restaurant. 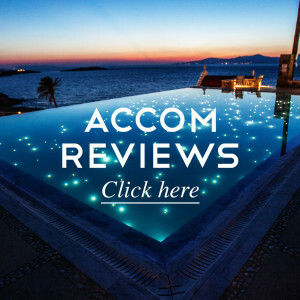 Room service is fast and the menu is a fusion of Balinese and western creations. If you’re looking to eat out, then you will find some great basic local options and fast food places just a short scooter ride away. If you like being a social butterfly when away and want to meet new people where you’re staying, then you might be a little lost at the Santai as everyone keeps very much to themselves. Each room offers everything you need, so there aren’t many communal guest facilities such as a hotel pool to strike up a random conversation with another traveller. If however you’re looking for some down time with your nearest and dearest, then this place is ideal! Great for emails and general browsing, but video and downloads will be a struggle, it’s a Island wide problem though.